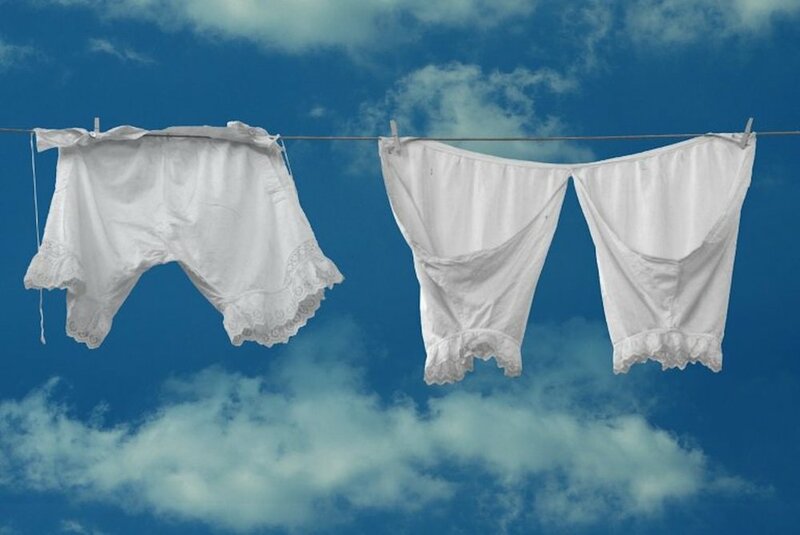 I asked my 14-year-old son, "Why don't we judge each other's underpants? He answered, "Mom because we can't see each other's underpants." EXACTLY!!! We can't see God, yet we are so ready, as a religious society, to judge each other's beliefs. We spend so much precious time fighting why our path is the "right" way, why our path is the "only" way, and in doing so, we judge that everyone else's belief and their path is "wrong." Why, may I ask, aren't you out there shouting at the top of your lungs why every man should wear boxer briefs under the guise of saving him? Do you know how many types of boy underpants there are? I will name a few; there are briefs, boxers, boxer briefs, trunks, jock straps, bikinis, long underwear, and G-strings. I'm just making a point here. Aren't boy underpants utilitarian? Isn't the sole objective of boy's underpants, especially in the US, to keep the package intact and private? They all do this, so why does it matter which label, which brand you choose to wear if it is all for one purpose and all points in one direction? Now, let's move on to women's underpants which include boy shorts, French-cut, G-string, Bikini, string bikini, v-bikini, high-cut brief, thong, hipster, full brief, full cut cotton brief, and my personal favorite, commando. I must warn you, and I know that some will judge because no one will ever make a fearful penny on my choice of underpants, because what I wear is comfortable, and they work for me. When I am comfortable in my underpants, I can be a much brighter light on this planet than try and fit into the underpants that you think are the right ones and the best ones for me. I visit with so many people, as I travel around the world, and for someone who loves to talk, I've spent more time listening and getting to know people for who they are and not by their label, or religious doctrine they subscribe to. Most have never even heard of these "other" religions. I feel I encompass each yet subscribe to none. I have chosen not to follow the sheep; I have opted not to wear the most popular brand of underpants that the masses deem appropriate for me. Instead, I have chosen to follow the stillness that resides deep in my soul with no waistband or leg bands that constrict and confine who I am and why I am here. I believe that each of us is on our own personal soul journeys. My choice of underpants changed into one that does not contain boundaries or confinements just as my religious indoctrination evolved as well. For how am I to grow when I choose to stay trapped in something that doesn't fit me any longer? It's like religion tries to keep me in one belief system, not unlike forcing me to wear diapers when I've long outgrown their purpose. I don't wear Hanes ® or Bali ®. Like my underpants, my God is not attached to any label. In fact, I'm confident He is so much bigger than the four walls of any religious institution, which tries to confine Him. He is so much larger than the three letters comprising the label man has chosen to call Him and so much greater than the box man has limited Him to. My spiritual journey has lead me down a path; one which does not confine me, like the underpants I used to wear.